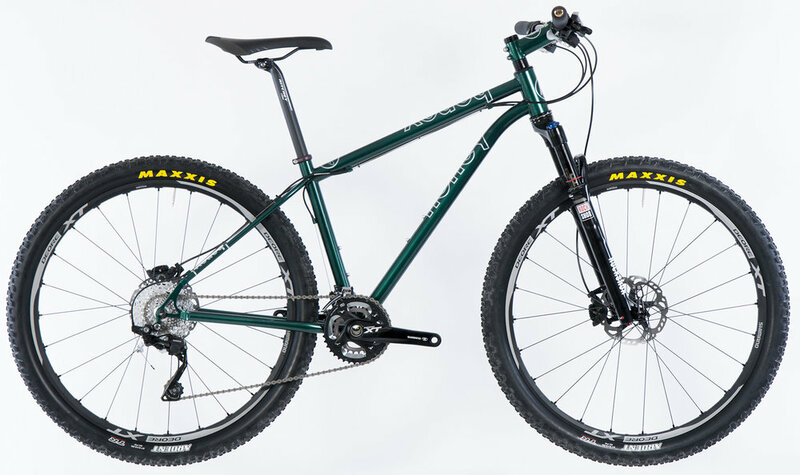 Here are the geometry details for the Mountain Race 27.5" series bikes. Wheel diameter: 27.5"/650b – these are the same size. Brake mount: Frame brake placement is ISO disc - on the seatstay. Rear brake: zip guides on top tube and seat stay. Fork Model: Dependent on parts kit specification. Toe overlap: Because the Honey Mountain is a race bike, the geometry is quick and tights - meaning a short front end. It is possible that your Honey may have toe overlap depenidng on tire choice, shoe size, cleat setup, and pedal system. Make sure you are comfortable with toe overlap before ordering. Questions? Contact the Beekeepers.